Discussion in 'Portable Source Gear' started by unknownguardian, May 17, 2017.
ranfan and golov17 like this. Storage is downgraded to single SD slot. Like the side buttons for play/pause, forward, back. Hey guys, really excited the cat is out of the bag for the QP2R. Been playing with a prototype unit for the last 2 weeks and I really love it. Been playing with a pair of Utopia on it and it just sounds quite wonderful in high gain and high bias. And for IEMs been using the UERR and the UE18+ balanced and in low gain but high bias and they just really are a fun listen. The physical size of the QP2R is the same as the QP1R, so much so I just slipped the QP2R into the case I used for my QP1R. The screen is bigger on the QP2R over the QP1R. The QP2R is also able to play DSD .iso files! It is down to a single SD slot but this was a direct result of implementing the fully balanced amp inside the DAP. There is so much in the QP2R for an amp and a bump in the battery that there wasn't enough room left for a second SD card slot. 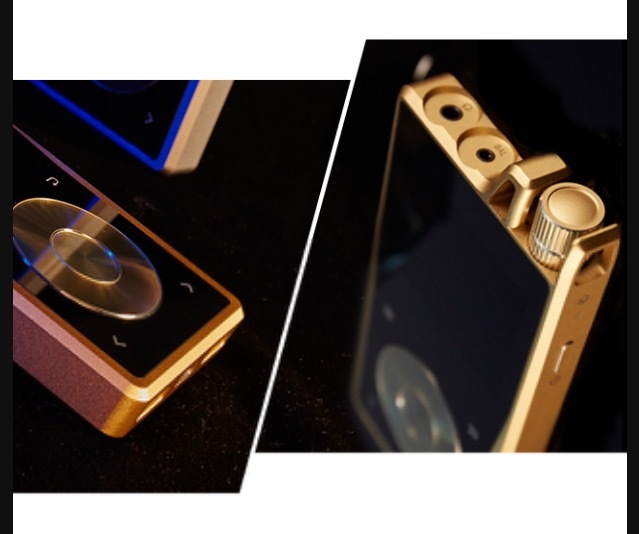 The UI on the QP2R is an original UI that we have collaborated with a major consumer electronics company to develop. As a result the battery indicator is much more accurate on the QP2R and we are constantly tweaking the firmware. The QP1R will still receive firmware updates and the new firmware update we are working towards relieving the battery indicator issues. Munich this weekend will be the European debut and the LA Audio Show next month we will be the North American launch. ranfan and glassmonkey like this. Heya guys, just noticed the specs in the first post is a little off, it looks like the specs for an 800r instead of the qp2r. The qp2r doesn't have an XLR, the specs on the site are correct though. Link is still active from the one on the first post through desktop browser. If you are accessing via mobile it will lead you to main site of questyle instead. So got to demo it. Previous model was meh. Updated. Didn't really pay close attention but I was feeling quite puzzled when I copy and pasted the information from the website initially. Exciting news. Any early impression how in single-ended use, the sound compares with 1R? Shame they had to ditch a micro sd slot to accommodate the balanced mode circuity. The high capacity offered by the dual slots of the QP1R combined with sonics that decimated every other DAP I tried was the clincher for my getting one. Balanced performance will have to be truly incredible to make me want to 'upgrade'. FiiO managed two card slots and a balanced output on the X5iii, so it is physically possible. Would still like to know the price in the UK though. Does anyone know when qp2r release ?